Frank R.Howard Memorial Hospital in Willits, CA graciously offered the use of their non-profit status to help channel donations to the project. Employees of Howard Hospital have generously volunteered a small payroll deduction, and with the addition of individual donations, the project has been supported ever since. Josephine died suddenly in 2004. All the more tragic was the rapidly expanding need to absorb more orphans. Fortunately, her daughters Kashie and Dali stepped in, and despite their own busy lives, work, and family obligations they generously give of themselves to maintain the mission of supporting these orphans. 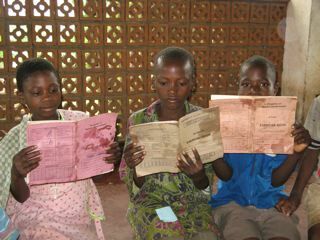 Josephine’s house remains the Malawian center for the orphans of the surrounding villages of Dzaone and Thondwe. 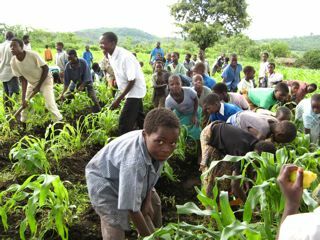 Presently enrolled are 167 primary school children and 30 secondary school students. Dali, Kashie and local elders help coordinate the distribution of food supplements, clothing, and the paying of school costs. Copyright 2014 TIWO Malawi Orphans. All rights reserved.